The Montipora capricornis is a small polyp plating coral often called the Vase Coral. 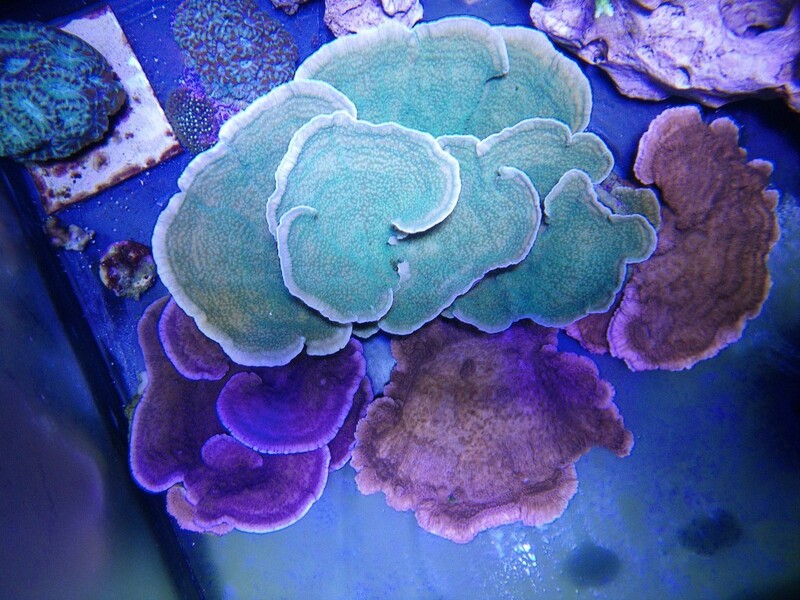 Montiporas come in a variety of forms and colors. It is moderately difficult to maintain and should be housed in mature reefs only. Lighting: Moderate. LEDs, T5’s and metal halide and position coral in aquarium accordingly. Ease of care: Moderately difficult, easier in mature reef systems. Feeding: Weekly feedings of micro-plankton or foods designed for filter feeders are beneficial. Supplements: Calcium, strontium and trace elements.